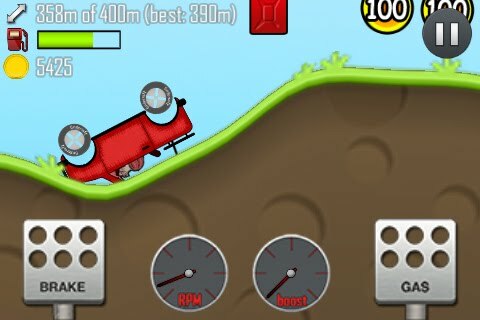 Get ready for a crazy, air catching, hill climbing adventure as you cruise the lands with your 4x4 in Fingersoft's quite addictive game, Hill Climb Racing! Get your driving gloved ready because you'll be sucked in for hours. It's a similar game to Extreme Road Trip 2. By default you'll get the Jeep and have the opportunity as you progress through the game to unlock two other rides with the coins you've earned. 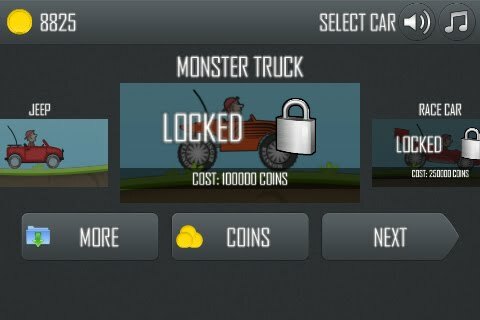 By default you'll get to cruise the countryside first and have the opportunity to unlock more stages as you progress through the game and earn more coins. More coins means more money for upgrades and who doesn't appreciate a better ride? 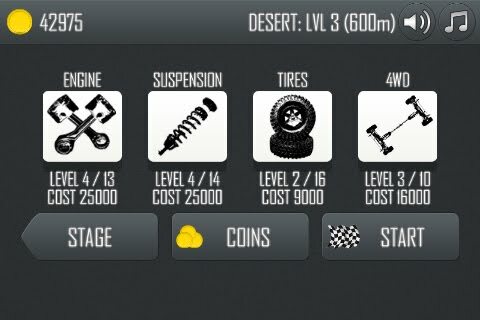 There are multiple levels of upgrades for each individual part and each progressive level gets more expensive to purchase. 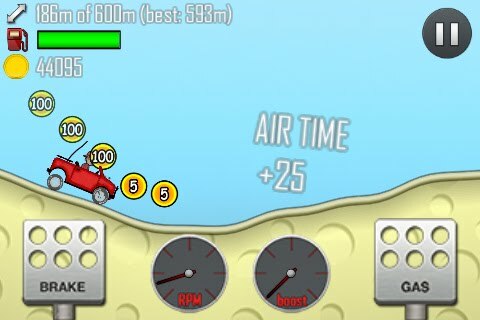 Your objective is to cruise through the levels collecting coins and gas cans while avoiding a wreck and getting as far as you can in to the stage. Make sure to keep collecting gas cans to drive farther, if you run out of gas the drive is over! You'll reach a higher level as you drive farther into the stage and cover more meters. The gas pedal is controlled by your right thumb and the break your left thumb. You'll need to drive multiple times to get a good feel for a nice balance between the two pedals while driving through each course. The terrain is bumpy and wrecks are inevitable, so stay focused. If you mash the gas hard you may do a back flip or wheelie, mash the break and you could do a front flip. If you complete a flip or grab air you'll earn extra coins. 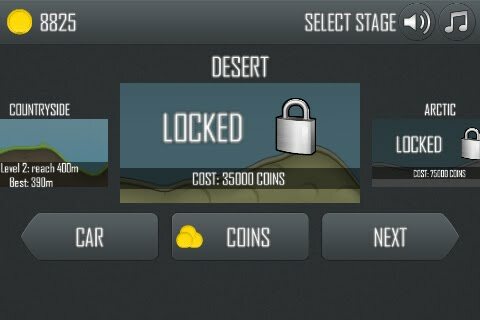 If you happen to complete a neck flip you'll cash in an extra 2500 coins but you'll have to restart the race as your drive will be down.